An increasing number of employees are working virtually nationwide – roughly 3.2 million. The number rose nearly 80% between 2005 and 2012, and affects all levels of employees and companies ranging from very large to very small. It’s a good business strategy for many firms, as remote employees are highly productive and companies who utilize them often realize cost-savings. So employees working remotely is not totally new, it’s a way of life for many employees, managers, and companies. 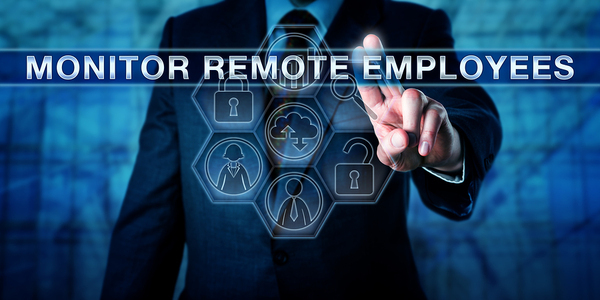 But if your role includes managing remote employees, you may be wondering about the best methods to employ. Fortunately, there are some best practices that you can follow. Keep reading for some tips on how to enact them. There’s no substitute for open and regular communication with remote employees, just like there’s no substitute for this form of communication with on-site workers. The only difference is that you may have to plan more actively for the communication to occur. After all, you can run into on-site employees in the office or during lunch, which gives you a chance to troubleshoot their concerns. That doesn’t happen with remote workers. It’s a good idea to set up videoconferences regularly. If you have weekly staff meetings, for example, remote employees can participate via video conference alongside the on-site people. In addition, make clear that you are available via e-mail and telephone for any concerns — and be available. While self-motivation and self-direction is important always, it’s a particularly important quality for remote workers. People who work virtually must be able to work to goals and deadlines without prompting or outside cues. It’s a good idea to ask interview questions and assess the self-motivation and proactive nature of prospective employees. Use technology to monitor appropriately. All employees need clear goals and objectives. But remote workers will find it difficult to operate with maximum effectiveness without them. They need to know deadlines, portions of the team workflow for which they are responsible, and overall goals and objectives. Remember that deadlines, team goals, workflow assignments and so on need to be communicated directly. If your organizational culture tends to deal with reassigning workflow or deadlines around the water cooler, you need to make sure the water cooler is virtual. Assess which forms of software can be most useful to your team. Chat forums like Slack, for example, can give virtual and on-site people a way to bond and discuss organizational life informally, so the two groups are unified. Online calendars can ensure that everyone is informed of meetings and deadlines. When you’re planning, be sure to consider time zones. Many virtual workers are global, so their time zones could be very out of sync for meetings, for example. If you can, make every effort to choose times when everyone can be available. Also, vary the times chosen so that it is not always more convenient for one group and less convenient for the other. Appearing to favor one group can be a route to friction. As an increasing number of employees work virtually, productivity can go up and costs can go down. These 5 tips can help you manage virtual employees for optimum work.